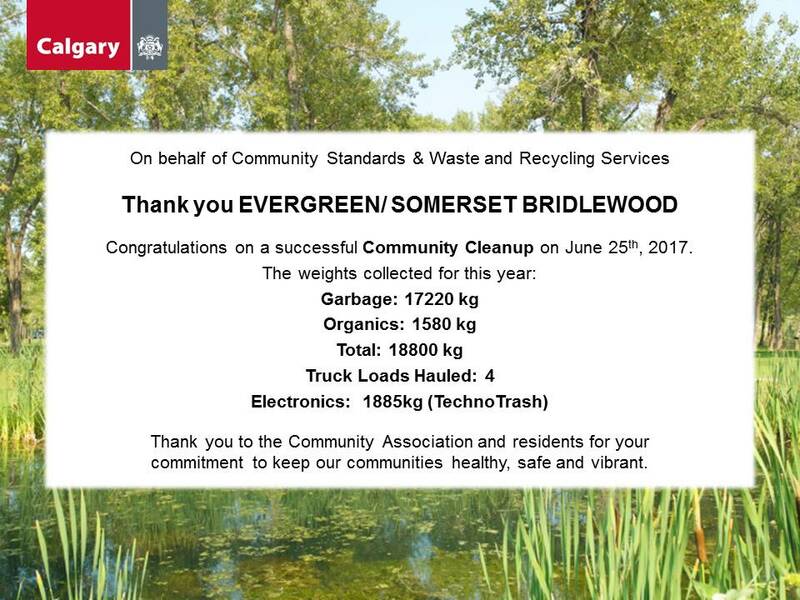 The CECA/SBCA Community Clean Up will once again take place at Bridlewood Sobey's Parking Lot on 25 June from 9 am - 2 pm. THIS EVENT IS FREE FOR ALL MEMBERS OF CECA and SBCA. A $10 DONATION PER VEHICLE PER VISIT IS REQUESTED FOR ALL NON-MEMBERS. THIS IS A CASH ONLY EVENT. Memberships for CECA and SBCA will be available for sale on site, but it would be appreciated if you purchase your membership online prior to attending to help keep the line moving smoothly. The list of recycling vendors and prohibited items is available below for downloading. Please ensure you adhere to this list so you are not disappointed if items are not accepted. Note: NO COMMERCIAL VEHICLES ALLOWED. If you would like to volunteer for this event, please email adam.frisch@myceca.ca directly and your name will be added to the volunteer list.